Presented in conjunction with the special exhibition The Shape of Speed, Streamlined Automobiles and Motorcycles, 1930–1942. 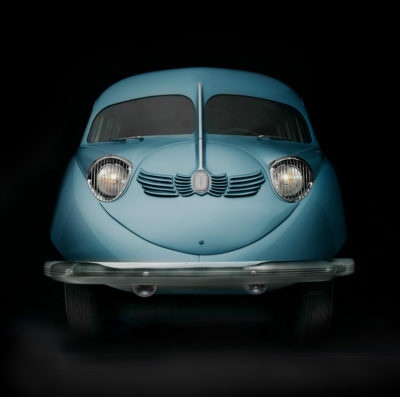 Stout Scarab, 1936. Photo: Peter Harholdt. Aircraft designer William Bushnell Stout believed the use of lightweight, aircraft construction techniques could result in a streamlined, futuristic, faster and more economical car. 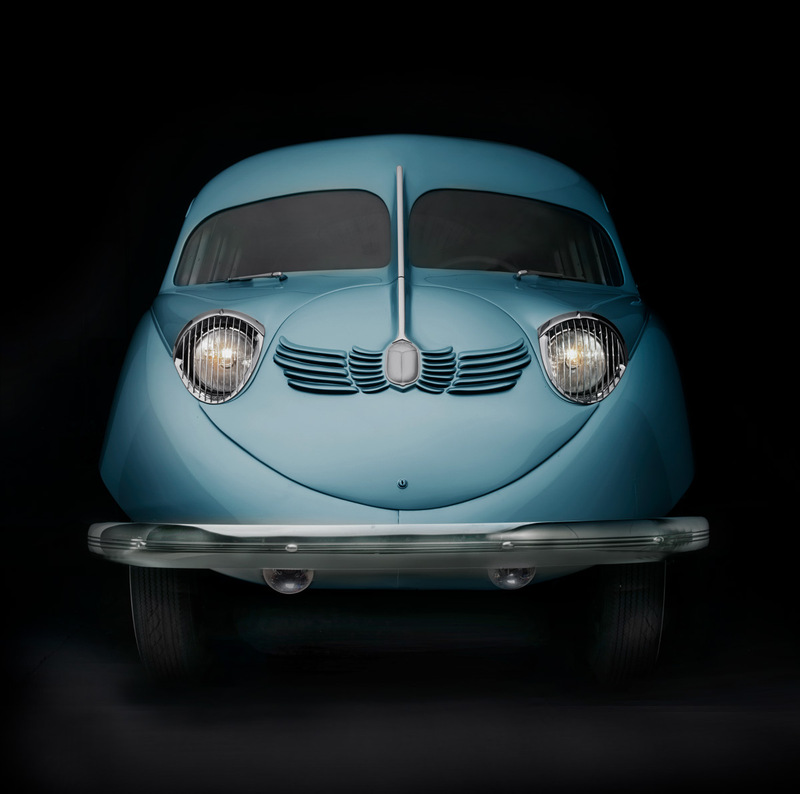 He envisioned a startling shape—the result of a monocoque (unitized) chassis and body, with a rear-mounted powertrain. All four wheels were located at the corners of the vehicle, for a more spacious interior. The seats could be reconfigured; there was a folding table and a small divan. Stout’s Scarab anticipated the modern minivan.